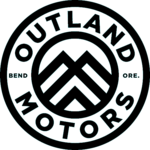 Our mission at Outland Motors is to create a unique car buying experience for you, beginning with our inventory. One visit to our showroom and you will see the difference in the quality of our vehicles. On occasion, we may not have the exact car, truck or SUV you are looking for. In that case, you may choose to retain us for a Special Order. What is the Special Order process? Our Special Order customers know what they want, down to the colors, features, mileage range and budget, and they are ready to purchase a car within the next two months. Each Special Order search requires an extraordinary amount of time. Once a vehicle match is located, the real work begins to obtain as much information as we can about the vehicle’s previous owner(s), service history as well as mechanical and cosmetic condition. Because of this time commitment, we ask for a $1,500 deposit up front, refundable only if we are unable to locate the right vehicle for you within 60 days, or other agreed upon time frame. This deposit is then applied to the purchase price of the vehicle. As your broker, we commit to ongoing communication and to deliver the right vehicle to you in the agreed upon timeframe. We ask you for timely responses to our communications so that we may be aggressive when necessary to pull the trigger on your future vehicle. If you are ready to go, start by completing our Special Order Form, below. Bill will contact you to discuss any additional details, timeframe and other criteria important to the search. At that time, if all parties agree to the parameters, we will request a check as the deposit payment and the search will begin. Let us do all the work for you and it's that easy!